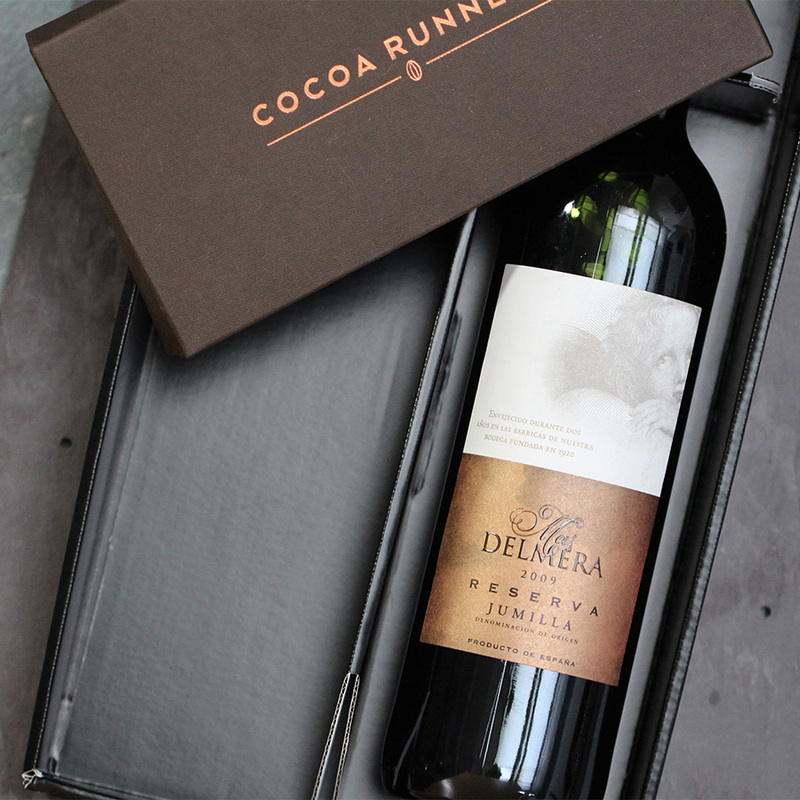 Inside this luxury chocolate gift you will discover a bottle of Mas Delmera Reserva Jumilla red wine paired with two dark chocolates. We have teamed up Bath-based wine Merchant Great Western Wines. 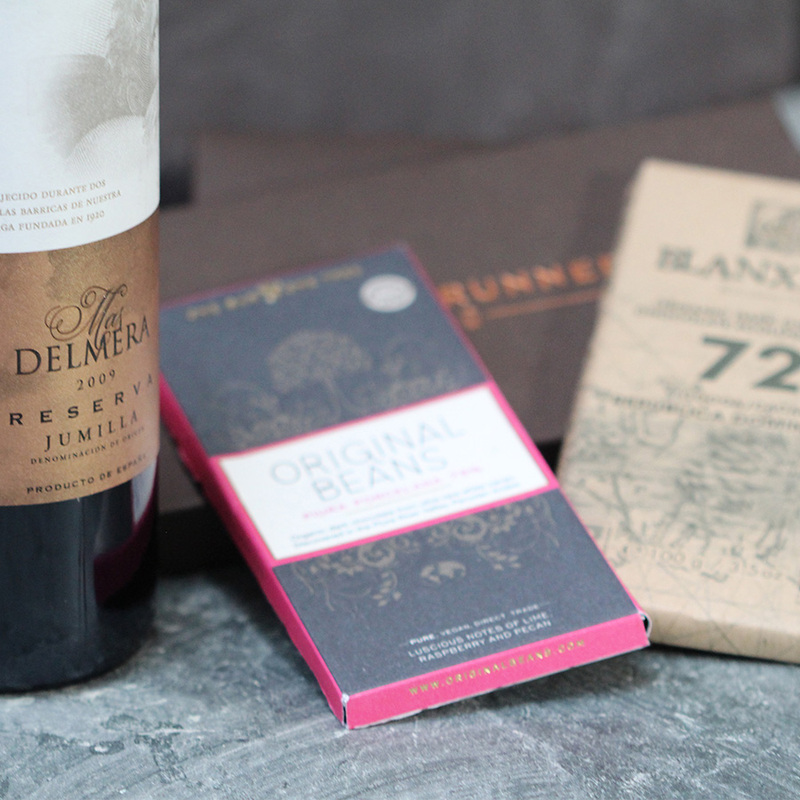 Together we tried and tasted different wine and chocolate pairings to create a truly exceptional hamper. As well as the red we have included two dark chocolate bars from the Cocoa Runners Library, so you can compare and discover for yourself which pairing you prefer. 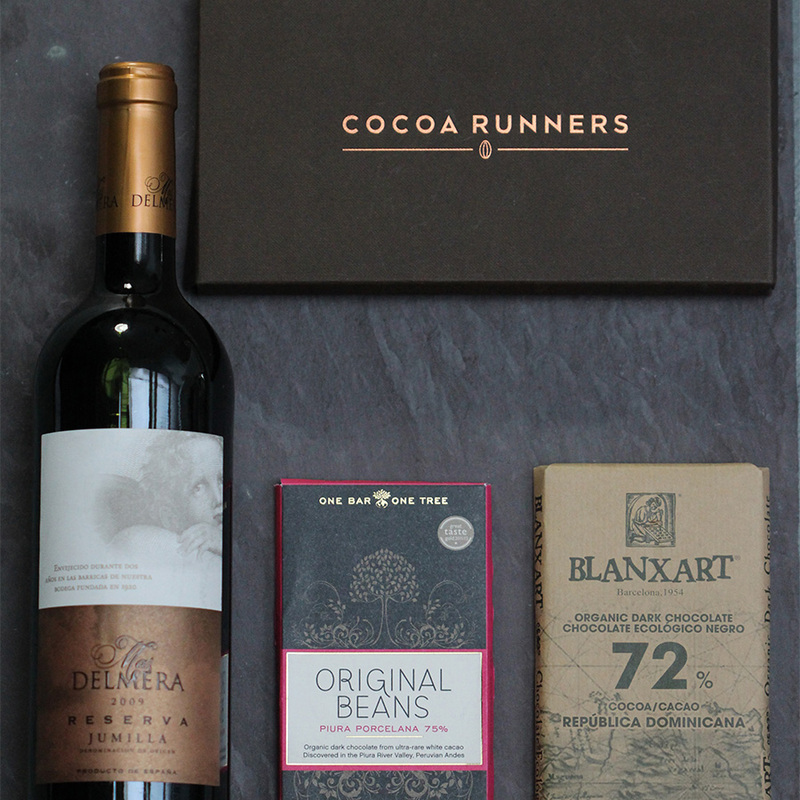 The wine and chocolate come beautifully presented in a Great Western Wine & Cocoa Runners gift box. The perfect present for any occasion, we recommend bringing along this gift to a dinner party with friends.